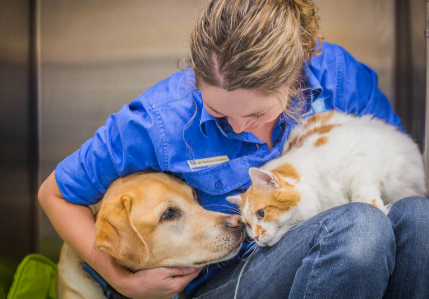 As animal lovers ourselves, we understand how important your pets are as a part of your family. And as animal health professionals, we also understand the importance of a planned approach to supporting their health and wellbeing. We've developed the Vet Cross Complete Care Club so that we can work together to ensure a happy and healthy life for your pets. We will match the above information with your file and automatically apply a discount where applicable for all of your pets at your next visit. By signing up to our Complete Care Club, you agree to receiving emails think will be of interest to you. We will also use your email to send invoices, receipts and reminders as required. There is truth in the old saying, "prevention is better than cure". Although we pride ourselves on providing top quality treatment and care when your pet is injured or unwell, we are committed to a philosophy of prevention wherever possible by proactively supporting your pet's health. A simple step to prevent the many common diseases that can prove to be painful, expensive and often fatal. A regular check up helps us to catch any illnesses early and thus prevents unnecessary pain and suffering and reduce expense. Some parasites can infect you and your family, making parasite prevention a key issue in the total care of your pet and your family. You are what you eat, whether you're a puppy or a full grown dog! We'll advise on the most suitable diet for your particular pet, breed and stage of life. Bad breath is not just a social issue! The long term effects of poor oral hygiene on your pets health are significant, making regular checks essential. Besides pampering your pet, bathing, brushing, blow drying, clipping and more gives us the opportunity to spot any skin, ear and eye problems with your pet. Advances in veterinary care means we have increasing ability to successfully treat complex problems. Having insurance in place removes financial issues from your decision making process and that provides peace of mind.